A news report from Canada now says that the hostage beheaded by Abu Sayyaf in Jolo, Sulu was John Ridsdel. 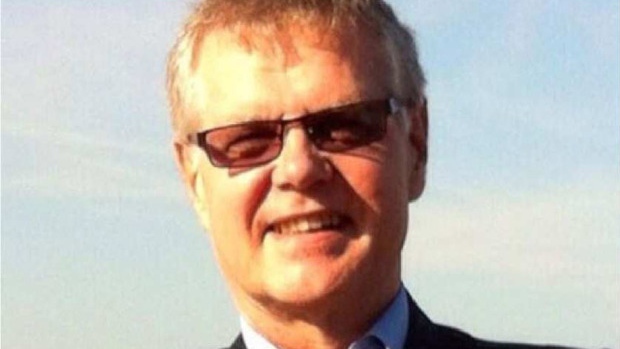 Prime Minister Justin Trudeau confirmed the news on Monday afternoon saying: “I am outraged by the news that Canadian citizen, John Ridsdel, held hostage in the Philippines since September 21,2015, has been killed at the hands of his captors. Trudeau condemned the “heinous act” and said the Canadian government would work with the Philippine government to bring those responsible to justice. He also offered his deepest condolences to the friends and family of the victim. John Ridsdel was one of four hostages kidnapped in a nighttime raid on Samal Island, off the coast of Davao City. Also abducted in the raid was fellow Canadian Robert Hall. The Abu Sayyaf terrorists who took the three foreigners and one Filipino, issued a ransom deadline that lapsed early Monday. “It’s hard, It’s just very hard. I’ve been involved behind the scenes for the last six months trying to find a solution and it’s been very painful.” said Bob Rae, a former Liberal MP and longtime friend of John Ridsdel, who had constant contact with his family. Officials in the Philippines had said earlier that government forces were moving to rescue the two Canadians and a Norwegian after their Muslim militant captors threatened to behead one of them if a huge ransom was not paid. “Whether things could have been done differently, it’s too soon for that to be said. Certainly the family did everything they could to try to reach a solution,” said Rae. Rae noted that his friendship with John Ridsdel dates back to their university times in the 1960s. Rae also said that Ridsdel has always been adventurous. There is no immediate word about the other three hostages involved in the Samal kidnapping. Earlier reports suggested that the Norwegian Kjartan Sekkingstad was the one originally beheaded and left in the streets of Jolo. Abu Sayyaf demanded 300 million pesos for the release of each hostage involved in the capture. That amount equates to approximately $6.5 million Canadian dollars. Officials in the Philippines say the President Aquino ordered the military and police to launch a rescue mission in Sulu to free the foreigners and Filipino captured in Samal. Officials in the area said the kidnapped victims were all fine just 48 hours before the news of John Ridsdel’s death became news.